Your nails are expertly cleaned, shaped and trimmed by qualified a Salon Mirror Mirror manicurist who also treat clients to a soothing hand massage followed by a perfect and professional polish application and finishing treatment. Well-manicured nails are always the perfect finishing touch to any look, casual or formal. Customized according to your taste and lifestyle, Salon Mirror Mirror manicurist will always use safe and long lasting polishes that are free of unnecessary chemicals and toxins. Our certified staff thoroughly sterilizes each piece of equipment following each client visit and is committed to your complete satisfaction, comfort and safety. Pamper yourself, you deserve it. Salon Mirror Mirror pedicures offer ultimate pampering, complete with a foot soak, nail shaping, exfoliation treatments and more. Customize your pedicure with a range of services provided from our relaxing and comfortable salon. A professional pedicure not only promotes good health and hygiene, but makes your feet look cleaner and prettier too. 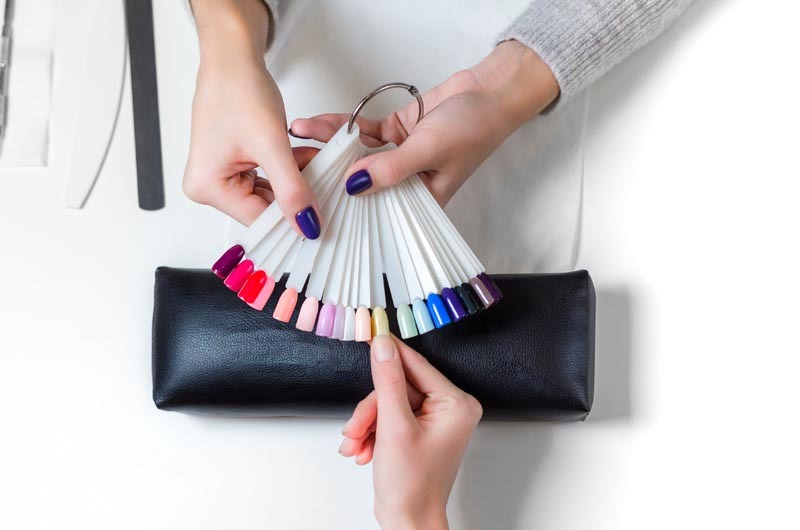 Are you bored with the same old solid color polish applications to your nails? Discuss the latest nail art advances that allow creative expression right to your fingertips with our talented nail technician. Energize and brighten nails with custom hand painted designs that are created and applied by our talented design expert at Salon Mirror Mirror. 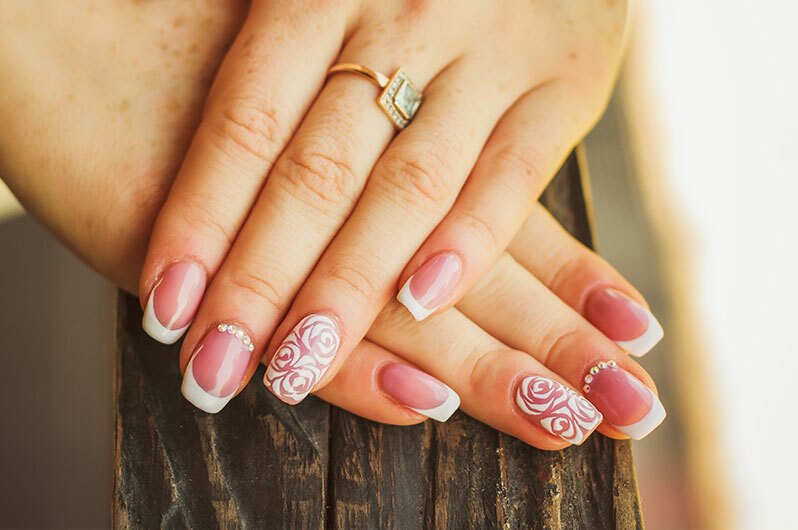 Our Solana Beach clients can choose from a wide variety of ideas that range from the simple and clean- cut, to the bold and elaborate; or customize your own nail art designs for a completely original look! Are you tired of redoing your nails every few days because nail polish has chipped and worn off? Look to Salon Mirror Mirror for beauty solutions and superior nail care that includes a perfect Shellac manicure from a qualified nail technician using the most advanced industry techniques. Providing superb nails to our clients each and every time, shellac manicures also offer long lasting results that are perfect for every day, a vacation getaway, or for any occasion where flawless nails are desired. A combination of gel and regular polish that is ‘cured’ and dried with UV lighting, professional shellac manicures are highly resistant to chipping and retain their gloss and shine for two weeks or more. The nails of our Solana Beach clients look and feel healthier from the practiced expertise of our nail expert! Salon Mirror Mirror nail products do not contain harmful chemicals. Our licensed nail technician adheres to the highest of safety and hygiene standards to ensure the health of your natural nails. We recommend that shellac manicures be performed by licensed professionals only.